Farji Shaheer, 39, is program manager and director of the Next Step program at HCMC and North Memorial Hospital. Shaheer isn't a medical doctor, but he wants to treat gun violence "like a cancer." 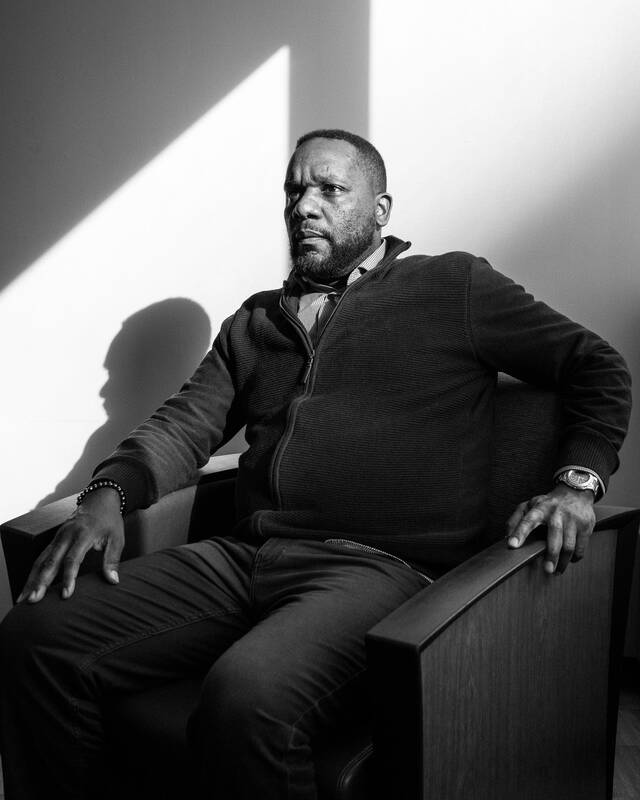 He grew up on the south side of Chicago and calls himself a survivor of an epidemic of gun violence. He's climbed the ladder in his 20-year career at HCMC, starting as a dietary aide and creating the Next Step program in 2016. The program intervenes with victims between 12 and 26 who have been shot or suffered other violent injuries in an attempt to decrease the likelihood that they'll return with another violent crime injury. The program is credited with reducing that recidivism by 40 percent. Due to the lack of numbers of African-Americans in Minnesota, I guess it pushed me to make sure that I was one of the positive faces and to make sure that I was an active agent of change for some of the things that have happened here in Minneapolis. I'm proud to be a Minnesotan, and a black Minnesotan simply because it gave me an opportunity to focus on change versus just survival. In other cities, it would've been just survival. You would have to make it through so much in regards to the communities that you live in, the health disparities, the gentrification. You've got to make it through so much in order to, you know, get your voice heard. What figures have shaped you? My mother, Melvyna Gaynor, did an excellent job in showing me that in order to survive I needed to be independent and disciplined. My father showed me that you can make a dollar out of anything and if you put your mind to it you can make it. William J. Lindsey, may he rest in peace, was an individual influential in the earlier parts of my life. He taught me algebra by the time I was in fourth grade. He taught me how to write like an architect and taught me that discipline is what makes a man and not his strength. And he opened my eyes to the woes of society. Emmett Till, Trayvon Martin, Jamar Clark, Philando Castile and the over 30 guys that I lost growing up, those were the guys that influenced me to do better. And they're not famous. They influenced me to do better because they're from my immediate community. Success. Independence. Innovators. Disciplined, thoughtful, educated human beings. Human beings that are not only speaking of change but are actually doing what they can to promote change. Awesome. I'd really like to see it where we can go a whole summer, maybe a whole year without anyone being shot down by nonsensical violence or emotional violence. Also, I would like to see some of the gun laws changed. But that's a different story.